Every winter, many people are affected by the weather. Beyond just the sniffles or a cold, the season can also impact mood. In fact, there’s a fair amount of science around the so-called “winter blues” explaining why some people feel depressed during the winter. 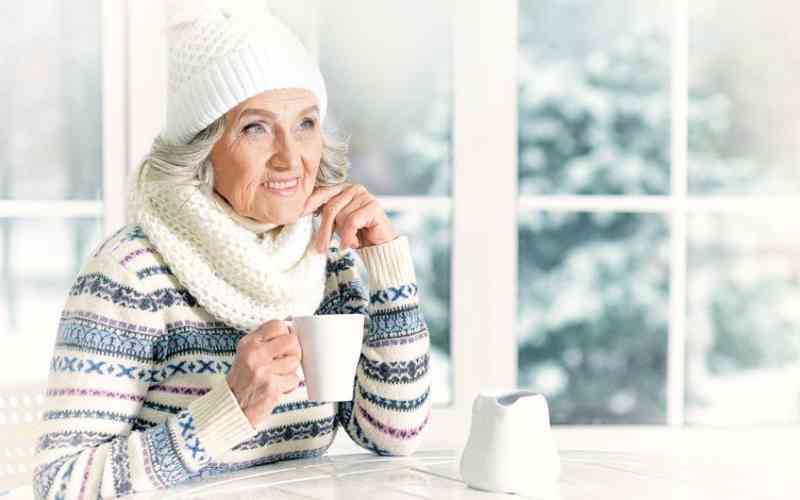 Older adults can be especially vulnerable to seasonal depression. No one is exactly sure what causes SAD, or why some people are affected more than others. Some scientists believe this disorder is connected to decreased levels of daylight, and reduced exposure to sunlight has been shown to reduce the levels of serotonin and melatonin in the body. Both of these chemicals can significantly impact mood. Now, let’s look at ways to treat or prevent the winter blues. Winter weather can increase isolation and boredom. Maintaining healthy social connections is important in avoiding or managing seasonal depression. Social connections includes personal interactions with friends, as well as phone calls and to a lesser extent even emails and texts. Engage with others at least once a day. The more light you can get during the winter, the better. Natural light is always best, so try to get outside when possible or at least sit by a window, especially on sunny days. Those with severe symptoms may find some relief from sitting in front of an artificial light box. A common symptom of SAD is an increased appetite, especially for sweets and starches. In the short term, these foods make you feel better, but in the long run they may actually increase moodiness. It’s best to limit portions of sweets and carbohydrates, especially during winter. Getting outside can be very beneficial for mood, even in the cold. If it’s too cold to go outdoors, indoor exercise is the next best option. Whether indoors or out, regular physical activity has been shown to prevent mood disorders. Some people consider the “winter blues” to be a normal part of life. But, if you feel especially low or depressed, you may benefit from consulting with a doctor. Some mental health specialists advocate behavioral therapy, in which a patient identifies depression triggers and learns coping mechanisms. When in doubt, it’s always best to seek the advice of a medical professional. Assisted living communities with vibrant social programs keep the “winter blues” away. Look for a community that offers plenty of options such as exercise programs, outings, lifelong learning opportunities and a variety of daily social activities. To learn more about the engaged lifestyle at Kyffin Grove in North Wales, PA, call to schedule a tour and to learn about their supportive living and specialized memory care services.